2018 CHOC Walk in the Park Registration Now Open! - Join Team DAPS MAGIC! Registration for the 2018 CHOC Walk in the Park is now open. This annual tradition raises hope for the children of Orange County by raising funds for Children’s Hospital of Orange County, or CHOC. This year CHOC Walk in the Park celebrates its 28th anniversary. Team DAPS MAGIC will be there bright and early on August 26, 2018 to walk through the park. It will be a fun morning full of Disney magic, friends, entertainment, walking, and raising money for a good cause! This year DAPS MAGIC continues its trend to raise its fundraising goal for CHOC Walk in the Park by aiming to raise $10,000. To do this, we need YOUR support. Please support Team DAPS MAGIC or join our team to walk through the park at chocwalk.org/dapsmagic! Originally a 5K, CHOC Walk started at South Coast Plaza. However, popularity and momentum for this event grew and it was changed to be a walk to the park. This would grow to change from a walk to the park to a walk IN the park! Walking through the Disneyland Resort in the parks has been the tradition now for over 15 years. When the walk was moved into the park it also moved the fundraising forward dramatically. This led to the first million-dollar fundraiser and it happened within two years of the walk being put inside the Disneyland Resort. In 2017, CHOC Walk in the Park aimed to raise $3.1 million from this event! CHOC Walk in the Park is the only fundraiser of its kind at the Disneyland Resort inside the parks. Every year thousands wake up early to walk through the park for this very special event. We look forward to building off of the momentum that was started last year and making this event even bigger and better than ever! Continue to keep your eyes on DAPS MAGIC for details of this year’s ROCK4CHOC. CHOC Walk in the Park is a good event for a good cause. Register early for this year’s event at chocwalk.org or join Team DAPS MAGIC as we walk through the park! The earlier you register, and the more we fundraise, and the bigger difference we can make together! 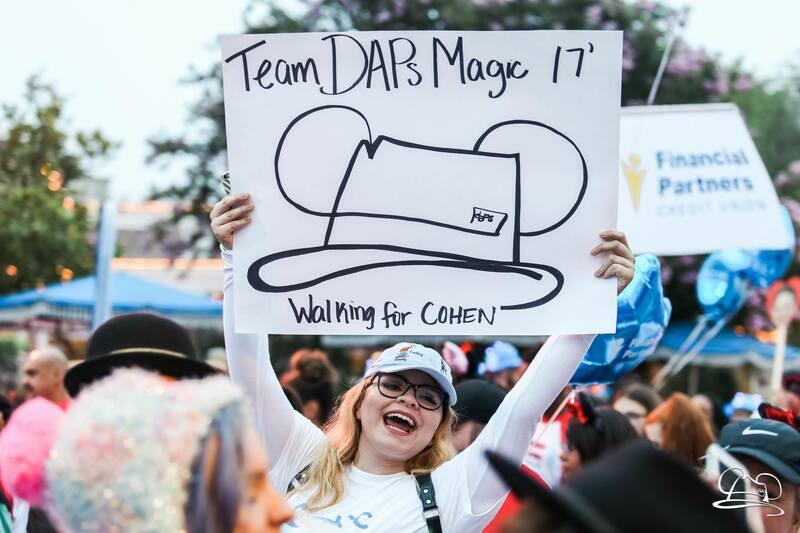 Will you be joining Team DAPS MAGIC for the 2018 CHOC Walk in the Park? What is your favorite part of the CHOC Walk? Let us know in the comments below!